VW Golf Tuning at Viezu Technologies Looks like a Golf, sounds like a Golf, drives like a Golf Until Viezu Technologies work their magic. The humble VW Golf GTI has always been the benchmark for hot hatch comparison and the latest Mk7 Golf GTI is no exception. But we at Viezu Technologies always like to crank things up to 11 and our latest package offer will do just that. Starting with a developed remap we can extract more horsepower, more torque and better driveability from your Golf. 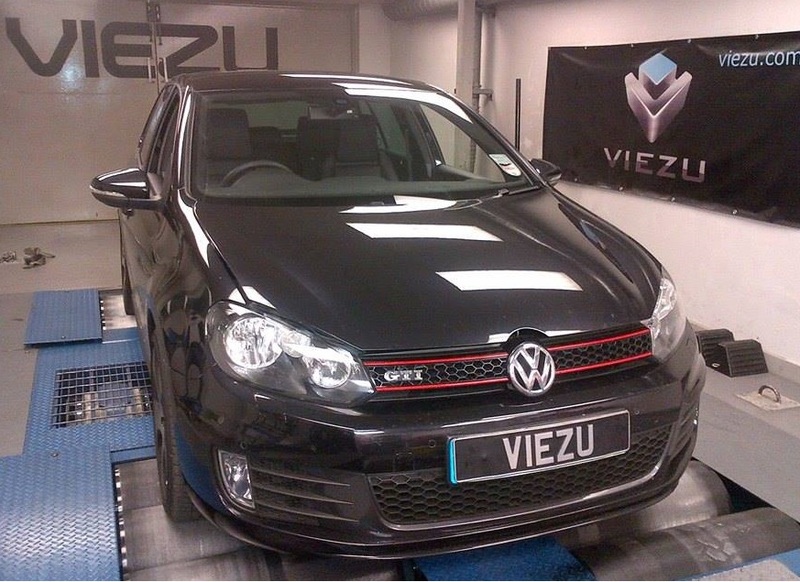 We pride ourselves on safe reliable remapping so you can rest assured you are in good hands with a Viezu Remap. For all of you VW tuning needs visit Viezu Next on the list for our package is a fully stainless steel exhaust system made by Milltek Sports Exhausts. Manufactured in the UK the quality and fitment of these exhausts is fantastic and furthermore they carry a lifetime corrosion warranty. Full details on the exhaust and our VW tuning please see here VW Tuning Our package offer applies to MK 7 Golf GTI models although R and GTD models can be accommodated for and the Remap and Exhaust Offer is available to the first 50 customers at £1295 including VAT and Fitting.